SOURCE: First Choice Healthcare Solutions, Inc.
MELBOURNE, FL--(Marketwired - Nov 11, 2015) - First Choice Healthcare Solutions, Inc. (OTCQB: FCHS) ("FCHS," "First Choice" or the "Company"), one of the nation's only non-physician-owned, publicly traded healthcare services companies focused on the delivery of orthopaedic care and treatment, today announced the expansion of its senior leadership team with the recruitment of veteran healthcare executive Ron Esteban as Director of Business Development at FCID Medical, Inc. Reporting directly to First Choice CEO Chris Romandetti, Esteban will be responsible for reviewing, pursuing, winning and managing key industry collaborations and partnerships that will allow FCMG to accelerate its growth and further enhance delivery of outstanding patient care and services; vetting and implementing new ancillary services on First Choice Medical Group and The B.A.C.K. Center's operating platforms; and providing programmatic oversight and direction once new services are introduced. "Ron is a key executive hire for First Choice and a much welcomed addition to our senior management team. Given his impressive track record of success, he is someone we believe will play a vital role in creating significant new revenue growth opportunities for our medical centers of excellence. I look forward to closely collaborating with Ron to best leverage the depth and breadth of his notable expertise in the healthcare industry to build on the growing regional prominence of our practices," noted Romandetti. Kris Jones, VP of Medical Operations, added, "Because our growth has been strategic and carefully calculated over the past four years, we dedicated a great deal of time to identify and actively recruit the right candidate for this position. Ron's expertise, coupled with his dedication to patient-centric care, will make him a valuable contributor to the future success of our organization." 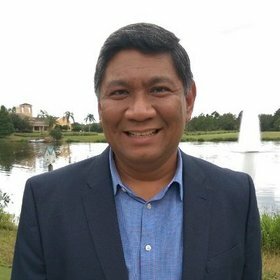 Bringing FCMG over two decades of proven experience in project management, business development, marketing and corporate growth strategy, Esteban previously served as a senior executive at Orlando Orthopaedic Center ("OOC"), one of Central Florida's largest specialty orthopaedic group practices. At OOC, Esteban was responsible for establishing, developing and overseeing all aspects of six ancillary care departments. From 2004 through 2008, he pioneered and successfully developed a new sports medicine and community outreach program for OOC while serving as the practice's Sports Medicine Outreach Coordinator and Marketing Director. From 2000 through 2003, Esteban was an assistant athletic trainer and lecturer at Virginia Tech, during which time he lectured undergraduates and graduate students on Sports Medicine; and managed the prevention, abatement and rehabilitation of athletic injuries to the university's NCAA Division I athletes. He began his professional healthcare career in 1999 as Program Manager of Orthopaedics and Community Health Services at Florida Hospital Celebration Health in Central Florida. Esteban earned both Bachelor of Science and Masters of Science degrees in Education from Virginia Polytechnic Institute & State University (Virginia Tech), as well as a Masters of Business Administration from the University of Central Florida. "I'm thrilled to be joining First Choice at such an exciting period of expansion. I look forward to capitalizing on my background and industry know-how to have quantifiable impact on the Company's growth and long term prosperity," said Esteban. The expansion of the management team will be among the many exciting corporate developments at First Choice to be discussed on the Company's 2015 Third Quarter Results conference call, scheduled for Wednesday, November 18 beginning at 11:00 AM Eastern Standard Time. Participants can register for the conference by navigating to http://dpregister.com/10071285. Please note that registered participants will receive the dial-in number upon registration. The conference call will also be webcasted, which can be accessed through First Choice's investor relations website by navigating to http://ir.myfchs.com/ir-calendar and clicking on the 2015 Third Quarter Results Conference Call. Webcast participants will be required to register to access the call. For those who cannot listen to the live broadcast, a replay will be available shortly after the call on the investor relations page of First Choice's website, found at http://ir.myfchs.com/. About First Choice Healthcare Solutions, Inc.
Headquartered in Melbourne, Florida, First Choice Healthcare Solutions (FCHS) is implementing a defined growth strategy aimed at building a national collective of world class medical centers of excellence in key expansion markets throughout the U.S. with concentration in neurology, orthopaedics, spine surgery and interventional pain medicine, as well as related ancillary care services. Serving Florida's Space Coast, the Company's flagship regional network currently administers over 100,000 patient visits each year and is comprised of First Choice Medical Group, The B.A.C.K. Center and Crane Creek Surgery Center. For more information, please visit www.myfchs.com, www.myfcmg.com, www.thebackcenter.net and www.cranecreeksurgerycenter.com. Certain information set forth in this news announcement may contain forward-looking statements that involve substantial known and unknown risks and uncertainties. These forward-looking statements are subject to numerous risks and uncertainties, certain of which are beyond the control of First Choice Healthcare Solutions, Inc. Such forward-looking statements are based on current expectations, estimates and projections about the Company's industry, management beliefs and certain assumptions made by its management. Readers are cautioned that the assumptions used in the preparation of such information, although considered reasonable at the time of preparation, may prove to be imprecise and, as such, undue reliance should not be placed on forward-looking statements. Information concerning factors that could cause the Company's actual results to differ materially from those contained in these forward-looking statements can be found in the Company's periodic reports on Form 10-K and Form 10-Q, and in its Current Reports on Form 8-K, filed with the Securities and Exchange Commission. Unless required by law, the Company undertakes no obligation to update publicly any forward-looking statements, whether as a result of new information, future events, or otherwise to reflect future events or circumstances or reflect the occurrence of unanticipated events. About this company First Choice Healthcare Solutions, Inc.